It is midway through the League 1 season. The “New Era” duo of Gary Caldwell and David Sharpe has breathed new life into a club that was down on its knees. After a prolonged period of gloom and despondency there is light at the end of the tunnel. With 23 games played, Wigan Athletic stand in 5th place with a record of W11 D7 L5. They are in the playoff zone, just 8 points away from an automatic promotion place. They have a good defensive record, with just 21 goals conceded, bettered only by the top two teams. Caldwell has shown himself to be a dynamic young manager, excellent in recruitment, tactically aware. His is articulate and sets a dignified tone for the club when dealing with the media. Sharpe too has made a strong impression, his sheer enthusiasm for the club shining through. He too is articulate, adept in his dealings with the national and social media. Together the two have forged a positive new identity for a club that had lost its way, but is now firmly back on track under their leadership. Caldwell has built up a strong squad, the envy of other managers in the division. It was by no means easy to put together a revamped squad containing more than twenty new faces. Caldwell and his coaches faced a huge task on the training ground, helping the players gel as a unit that can play a style of football that Sharpe labels “The Wigan Way”. Moreover Caldwell has instilled a never-say-die spirit that means his teams have shown the ability to claw their way back into games they would seemingly have lost. The foundations are certainly in place. The immediate goal is promotion back to the Championship. In order to achieve automatic promotion a total of at least 90 points will be needed. That will require a points average in excess of two per game for the rest of the season. A long unbeaten run is what Caldwell will seek. Latics achieved an unbeaten run of 11 matches, stretching from mid-September to late November until a blip led to league defeats by Burton and Blackpool, together with an exit from the Football League Trophy at the hands of Barnsley. However, a couple of hard-fought away victories at Barnsley and Fleetwood have put them back on track. After disappointing away performances early in the season they are now unbeaten in their last eight league games on the road, as the players have shown the ability to grit their teeth and grind out results. Caldwell and his recruitment team did so well in the last transfer window. But can they achieve such good results in the January window that is almost upon us? What adjustments can we expect to be made to the squad? Will the two remaining short-term loanees – Donald Love and Yanic Wildschut – be staying? Since the beginning of the season four loanees have already returned to their clubs. Caldwell was disappointed when Jonjoe Kenny was called back to Everton in late September, then Shaq Coulthirst went back to Tottenham just over a month later. Over the past couple of weeks Sean Murray has returned to Watford and Alex Revell to Cardiff City. Sadly the talented Francisco Junior has gone back to Everton to receive treatment on a troublesome groin injury that has hampered him during his time at Wigan. Caldwell will hope that the player can overcome the injury and that he can return before his loan period ends in mid-January. However, rumours suggesting Latics are close to signing midfielder Liam Kelly from Oldham suggest that Caldwell might be covering his bases in case the African does not make it. The right back position has been a problem all season, with the serious injury to Kevin McNaughton early on and the departure of Kenny. Donervon Daniels has shown his versatility by playing there when needed. Tim Chow has also been tried there. Donald Love was signed on loan from Manchester United in early October. Injuries and call ups to the Scotland under-21 squad have limited Love to five starts and three substitute appearances. However, Caldwell clearly rates the 21 year old Rochdale lad and may well seek a permanent transfer. Few players have made such a strong and immediate impression on Latics fans as Yanic Wildschut. His impact has rivalled that of Amr Zaki in 2008-09. Wildschut has started in ten games, coming on off the bench in six. He has scored four goals. In full flow Wildschut is a sight to behold, a winger with searing pace and a blistering shot when he cuts in from the left and shoots with his right. Some would say Wildschut is a throwback to the past when the winger’s job was primarily to attack, although even in the days of 4-2-4 they were still expected to do some defensive duties. Defending is not Wildschut’s strong point, as noted by Middlesbrough manager Aitor Karanka. However, given the physical exertion he needs to put into his electrifying runs, can Caldwell really expect him to make a significant defensive contribution? When Wildschut first arrived at Wigan he immediately caused panic in opposition defences. However, after a while other teams learned how to deal with him, if sometimes by foul means rather than fair. His recent performances in the starting lineup have been frustrating at times. However, bringing him on in the closing stages, when the opposition defenders legs are tiring, can have an explosive effect. Although Caldwell has certainly bolstered his defence his team’s attacking can be slow and predictable. He needs a player with Wildschut’s explosive abilities who can upset the equilibrium of the opposition. It is rumoured that negotiations with Middlesbrough over a permanent signing of the Dutchman have been going on for some time. Boro will surely want to recoup at least the £300,000 they paid Heerenveen for him in September 2014. Moreover other clubs might be in competition for his signing. At this stage it seems unlikely that Karanka will want him permanently back at Middlesbrough, given the “modern” type of footballer the Spaniard prefers. The question is whether Sharpe is willing to pay the kind of fee that Boro will demand for a player who is not a regular starter. Caldwell will be hoping that a deal can be struck to keep Wildschut at Wigan. If that does not happen he is going to look elsewhere for the kind of player who can add such an extra dimension to Latics’ attack. Without such a player Wigan Athletic’s hopes for automatic promotion might well fall on the rocks. Wigan Athletic’s future – can shrewdness outweigh cash? 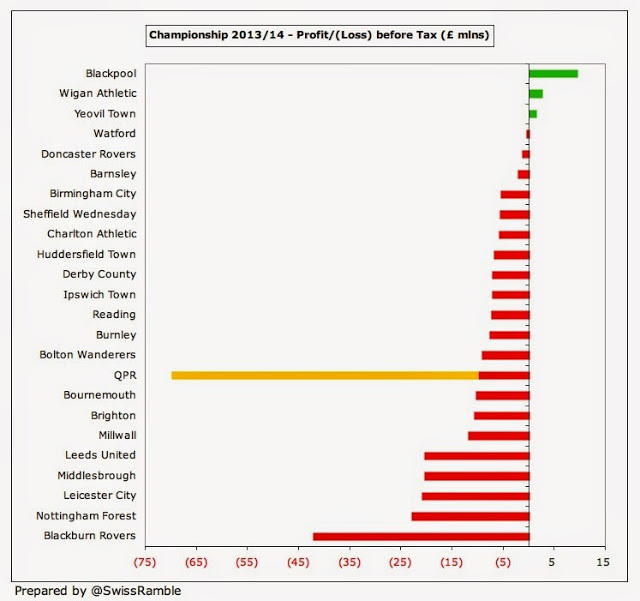 In the 2013-14 season of the Championship only three clubs made a profit. They were Blackpool, Wigan Athletic and Yeovil Town. Each has since been relegated from the division. At the time Queens Park Rangers had made the biggest loss of the promoted clubs (£70 million), with Leicester City losing £21 million and Burnley £8 million. Since then QPR’s loss has been cut to £10 million due to a write-off of shareholder debt of £60 million by chairman Tony Fernandes and his associates. Without that they would have faced a massive fine on their return to the Football League in 2015-16. Many Wigan Athletic fans have written off the last two seasons in their minds, as a succession of bad decisions made by the club led to a slide into League 1. 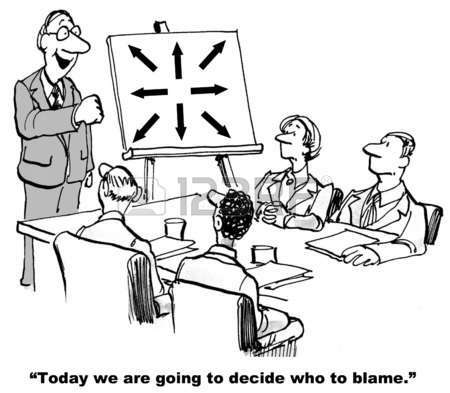 Those decisions include the appointments of hapless managers in Owen Coyle and Malky Mackay and the departures of no less than thirteen players in the January transfer window of 2015. The result was a squad left short of quality that would have struggled to survive even if the manager had not been the seemingly oblivious Mackay. In fact the 2013-14 season had turned out to be a relatively good one for Latics, despite a poor start under Coyle. It remains open to conjecture whether they could have challenged for an automatic promotion spot if they had made a different initial appointment. The obvious choice would have been a manager who could have built upon the foundations left by Roberto Martinez, fine-tuning the playing style and philosophy as required. Ironically it did happen some 22 months later when Gary Caldwell was appointed, but sadly almost all of the players who had proved themselves under that philosophy of play had by then left the club. It could be argued that apart from the appointment of Coyle, the season was a success in terms of a transition from the Premier League to the Championship. Shrewd financial management and the appointment of Uwe Rosler kept things on track. In comparison Blackburn Rovers were to make a loss of £42 million over a season in which they were to finish in 8th place. With a 5th place finish, a narrow playoff defeat and a valiant loss on penalties in an FA Cup semi-final, Rosler had made a very positive impression. The 2014-15 season might well go down as the most memorable in the club’s history, albeit for the wrong reasons. Three managers, the selling off of the family silver, Dave Whelan’s awful happenings with the national media and his subsequent stepping down as chairman was to eventually lead an unhappy club to relegation to League 1. In both the 2013-14 and 2014-15 seasons Latics were able to be competitive in the transfer market. This was partly due to incoming transfer fees, but more significantly down to parachute payments of £24 million in the first season and £18 million in the second. That meant that they were able to cope with a player wage bill of around £30 million, drastically cut down to around £20 million (on an annual basis) in January 2015. The Europa League campaign in 2013-14 and the FA Cup runs in both seasons added to the coffers. However, in 2013-14 Latics’ gate receipts of around £4 million were close to the median for the division, whereas a paltry £1 million from commercial revenue was the lowest. According to the Swiss Rambler the club had a net debt at the time of £23 million, significant but dwarfed by those of Bolton (£195 million), QPR (£158 million), Brighton (£131 million) and Ipswich (£86 million). For the coming season Wigan Athletic will have the advantage of the £9 million parachute payment over the other clubs in League 1. However, under the SCMP version of FFP used in Leagues 1 and 2, there is considerable amount of freedom for an owner to make cash injections. If David Sharpe adopts the approach of recent years at the club he will run it on a tight budget and will not spend the kind of money that his grandfather splashed out some thirteen years ago when Latics were in the third tier. Latics will now be competing with clubs like Sheffield United, with higher match day and commercial revenues, but also with those with wealthy benefactors. When Latics were in the third tier in the 1980’s they made some inspired signings of young players. So many were sold to keep the club afloat: a reflection of the club’s circumstances at the time. Most made their mark in higher levels of football. It is that kind of expertise in picking out those young talents that is what Latics currently need. Sharpe might allow Caldwell a small number of players on higher salaries who have played in the upper echelons, but Latics will surely look to sign those up-and-coming players who can make the difference. But even if Wigan Athletic can get promotion back to the Championship a year from now, what will be facing them? The gap between the Premier League and the Championship continues to widen. Two of the three promoted teams were propelled back into the Championship, the third surviving with a “miraculous” end of season run, inaccurately paralleled with that of Latics in 2011-12 by the national media. Moreover the massive increase in television money secured by the Premier League’s latest deal means that parachute payments will be much increased. It will be more difficult than ever for clubs without first or second year parachute payments to compete. With shrewd management Latics can get promotion back to the Championship this season. Without it they are likely to be doomed to meandering in the lower leagues for years to come. However, even if they are back in the Championship a year or so from now the picture will be vastly different than it was in 2013. They will be facing so many clubs with much bigger financial resources. It is the shrewdness that will make the difference. Let’s hope that the young brigade currently running Wigan Athletic Football Club can show the kind of shrewdness that will be needed. David Sharpe’s announcement has provided a fresh boost for Wigan Athletic’s bid to regain their Championship slot. The return of Andy Delort, Rob Kiernan, Oriol Riera and James Tavernier from loan spells is surely a declaration of intent from the young chairman. Moreover if the club is as active in the transfer market as media rumours suggest, the squad for the coming season is going to be as strong as any in League 1. Bringing back the loanees has its financial implications, but Sharpe is clearly willing to stick his neck out in the bid for promotion. At a time when the club is at the point of jettisoning its higher earners, Sharpe is clearly gambling on Delort and Riera delivering the goods. Strikers are an expensive commodity on the transfer market and rather than splash big money out on a player from another club, Sharpe is using the players he already has. Moreover Grant Holt, Billy Mckay and Martyn Waghorn remain on the books. So many players suffered in the depressive climate of the relegation season recently concluded. That included Kiernan and Tavernier. Neither could reach his previous levels of performance and they were shunted off on loan in the January transfer window by the hapless Malky Mackay. Kiernan remains highly regarded by Birmingham City manager Gary Rowett following a series of good displays. After leaving Wigan in January he had to wait until February 21st to make his first start against Brighton, playing in midfield, but from then on became a regular in the centre of defence. Kiernan had been promoted to Wigan’s first team in the second half of the 2013-14 season by Uwe Rosler, for whom he had played on loan at Brentford the year before. He performed well, particularly when playing in a back line of three, showing good positional sense, skilful in his distribution. Tavernier too suffered in that spell at Wigan. He had arrived with good credentials from Rotherham where he was a favourite of the fans. His ability to strike on goal and make crosses with pinpoint accuracy was already evident in the pre-season. Sadly he could not produce his true form in the seven games he started at Wigan. He just did not seem to have the pace or quickness of thought to play as a full back in an orthodox back four. However, being employed as a wing back, Tavernier was to make a lasting impression in Bristol City’s League 1 title winning team. His spectacular goal from 45 yards against Colchester might look a freak, but given Tavernier’s technique and ambitious approach, it could well have been intentional. Riera was shipped back to Spain in January after a frustrating time at Wigan. He had taken time to adjust to the physicality of the Championship and was hardly helped by the lack of service from a dysfunctional midfield. However, a well taken goal against Blackpool surely boosted his confidence and he looked more comfortable in the 4-0 win over Birmingham City that followed. But Riera was surprisingly left as an unused substitute on the bench in the next game at Birmingham, in favour of a newly arrived Andy Delort. Riera was never given a run of starts after that and his confidence dwindled. It was therefore no surprise when he joined Deportivo La Coruna. Since his arrival at the Galician club he has been a regular starter at centre forward and has scored four goals. His last one, a 60th minute header at Malaga, salvaged an important point for a side fighting to avoid relegation from La Liga. Delort too will look at his time at Wigan with regret. Thrust into a lone centre forward role he looked like a duck out of water. A player who had scored 24 goals the previous season in Ligue 2 looked sure to make his mark in the Championship, but Delort had been used to playing with a twin striker at Tours. Rosler was to stick by his formula of playing with one central striker, as did Mackay when he first arrived. Delort was sent back to a Tours side that was struggling against relegation. He has not been able to reproduce his prolific goalscoring of the previous season. Delort has scored two goals in thirteen starts. During the time that Delort and Riera spent at Wigan many fans had hoped to see them play in tandem as twin strikers. But it never happened. However, there is now a prospect of seeing that Latin partnership for Latics in League 1. Given their unhappy stays at Wigan, neither player will be over keen to return. Moreover stories of members of Latics’ coaching staff writing the two of them off have become more and more credible. Tim Chow too had been written off, being told that he would not receive another contract, only for Caldwell to intervene and bring the young player back into the fold. Given the united front shown by Sharpe and Caldwell up to this point, we can assume that the manager is supportive of the return of the four players. It looks like Caldwell’s preferred formation will be 3-5-2, which would suit them. Tavernier is a natural wing back with great attacking potential. Kiernan would slot into a back line of three capable of passing the ball out of defence. Moreover Delort and Riera could make a formidable partnership up front. Much will depend on the ability of Caldwell, and the coaches, to bring the best out of the four players. Latics paid around £5.5million for Delort, Riera and Tavernier. A good season from them could help the club back into the Championship, in addition to increasing their values on the transfer market, which will have nosedived over the past eight months. Wigan Athletic are keen to put the nightmare 2014-15 season behind them. The slate needs to be wiped clean for those who suffered the contagion that swept through the squad. It is a fresh start and the four players still have much to offer.